Technology impacts our lives through all aspects of society: from making comments on photos to the ability to exercise our right to vote. Almost half a century ago, the Privacy Act of 1974 was created in response to the rise in computerized databases concerns about individual privacy rights. It required government agencies to show records kept on any individual and instituted “Fair Information Practices” when handling personal data. With the continued advancement of technology and the proliferation of connected devices, data has become ubiquitous. Companies and government agencies face conflicting incentives: gather human data to make a product or research better while maintaining user data privacy. In 2018 alone, billions of people were affected by data breaches and cyber attacks. Governments and policymakers are struggling to create and enact effective privacy policies that can be enacted to help society adapt to protect user privacy and rights. They need to anticipate the impact of regulation, standards, and guidelines on the information, communications, and technology (ICT) industries. A deep understanding of existing regimes and systems for data collection, storage, application, retention, and predictive modeling is necessary to respond to consumers’ frustrations with losing control over their personal information, as well as their fears for a future in which massive datasets, feed into Artificial Intelligence (AI) technologies, might be abused to harm society. 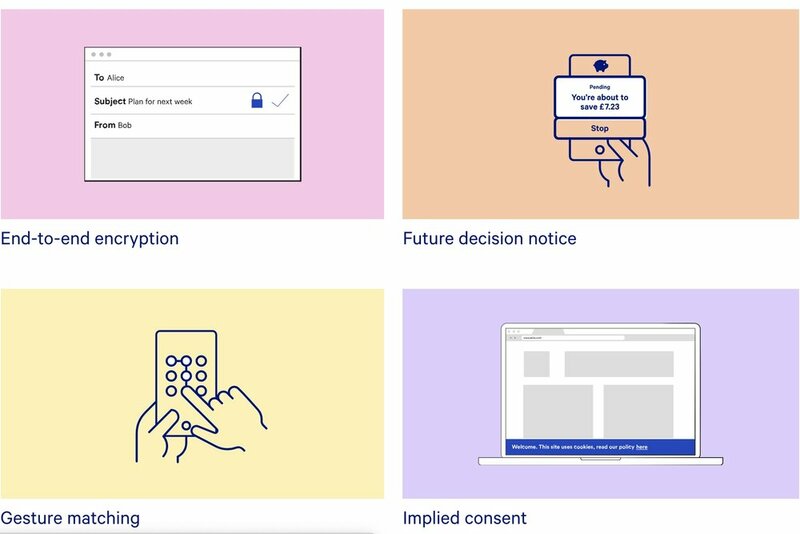 How might we reimagine meaningful, informed consent for sharing personal data? How do end users, practitioners (designers + engineers) and policymakers frame privacy and privacy by design? What interventions are being implemented across industries, disciplines and practices? How might we help consumers and citizens regain control over their personal information? How might we more effectively present risks and benefits to consumers when they provide personal information about their thoughts, activities, and intentions? Privacy is amorphous. a one size fits all definition does not apply. it is important to clarify user privacy needs in different contexts. It is complex. There are many definitions depending on context, culture, time and place. In one context, it might mean upholding freedom of choice and the ability manage your state of well-being to avoid surveillance or profit-maximizing efforts. For another person, privacy might be about anonymity, the status quo in which your identity is unknown to a larger population of people. Finn, Wright and Friedewald highlight Seven Types of Privacy which helps conceptualize these meanings: (1) person, (2) behavior and action, (3) communication (4) data and image, (5) thoughts and feelings, (6) location and space (7) association— group privacy. 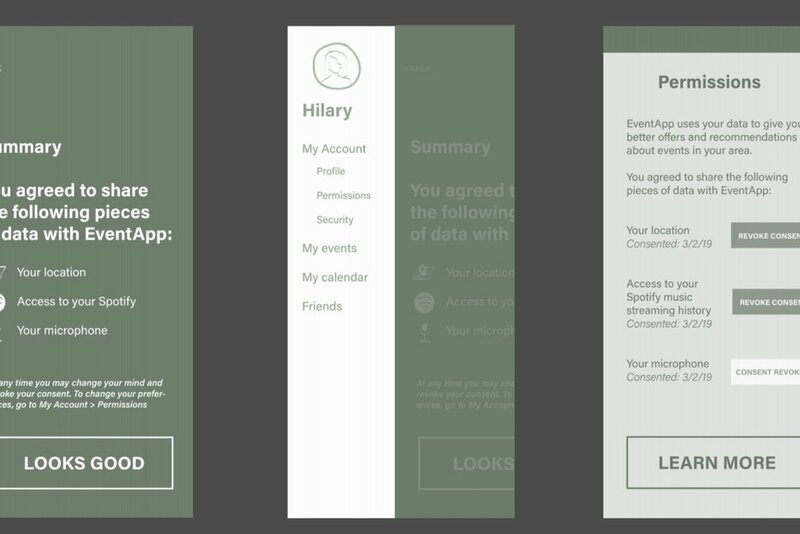 each concept submitted targets a different level of proactivity for users to manage their online privacy. Several submissions are focused on populations focus on populations with a high level of tech savviness and proactiveness in managing their online profiles. There is nothing wrong with this approach and this may work for a certain subsection of the population. For those who do not have the same tendencies, it is possible to take a more proactive approach to change a person’s level of “awareness” of what privacy is and how it may impact them based on the context they are in. For example, the Privacy and Security Nutrition Label project allows users to make informed decisions at the “point of sale” while Municipal Alerts actively alert citizens about repercussions when cities acquire new privacy impacting technologies. we received several privacy and consent related frameworks and toolkit concepts — so what does this mean? There will be new patterns for experience researchers, designers, and engineers to practice and implement with regard to data collection, consent, and presentation. While some of the examples skew toward a certain topic such as mobile health for biomedical researchers or applying a framework for consent in web forms, these practices may be increasingly applicable across uses cases, industries and practices. More interdisciplinary collaboration will be needed in order to share learnings, initiatives and perspectives. Many of the patterns highlight similar concepts that strive to make the services make it clear to show (1) what minimal data is needed (2) why it is needed and (3) explain how it may be used or managed in the future.